These water decals are the Born Pretty brand. Harunouta is the Born Pretty store in Japan and they carry most of the Born Pretty nail art items. 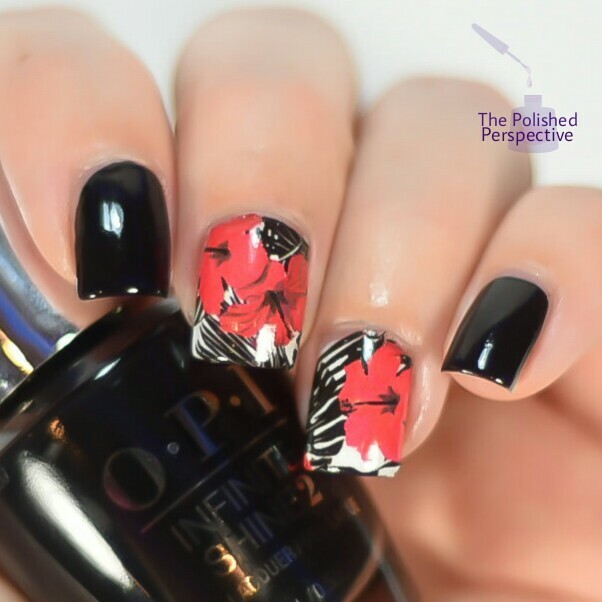 I paired the red flower water decals with OPI Infinite Shine Black Onyx that I received as part of the Preen.Me VIP program. This is another Born Pretty brand water decal. I find that Born Pretty decals are very easy to use and I love that a lot of them come with different design options in the same package. 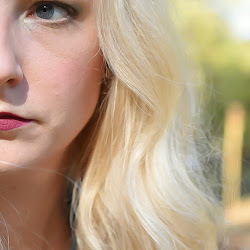 I used Madam Glam Paradise as my base. I love how it gave this one a stained glass effect. Another Born Pretty brand water decal that was easy to use. 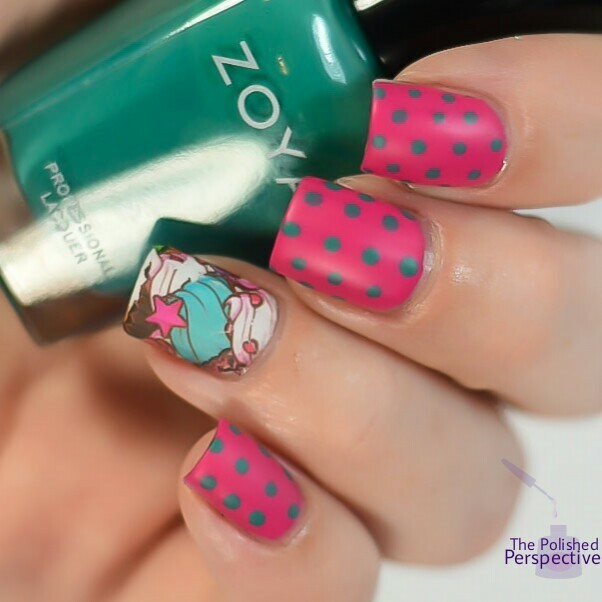 I decided to change this one up and do nail art with my nail art. My base is Zoya Brynn with dots of Zoya Cecelia. These were not the Born Pretty brand. I'm actually having a hard time figuring out what brand this is. These were pretty difficult to use. No matter what temperature my water was or how long I soaked it in water, they did not easily slide off the page. I had to actually start peeling around the edges and then totally peel it off. The instructions said to immerse in water, so they're definitely water decals. These were individually cut out designs and kind of small for my nails, so I had a hard time getting them to fit well and lay flat. After a lot of struggle I like the look, but wouldn't use them again. All of these nail art items are from Harunouta.com 春の歌. Thanks for checking out my water decal review! I love what you did with all of these! Beautiful! These are all great! I should really try out some decals. 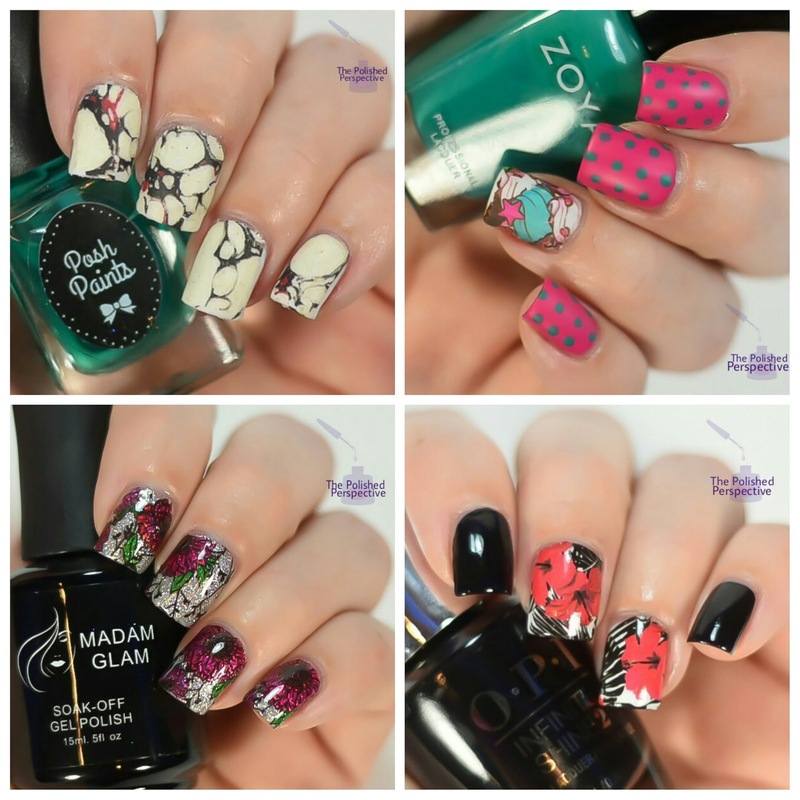 I adore all of your manis! 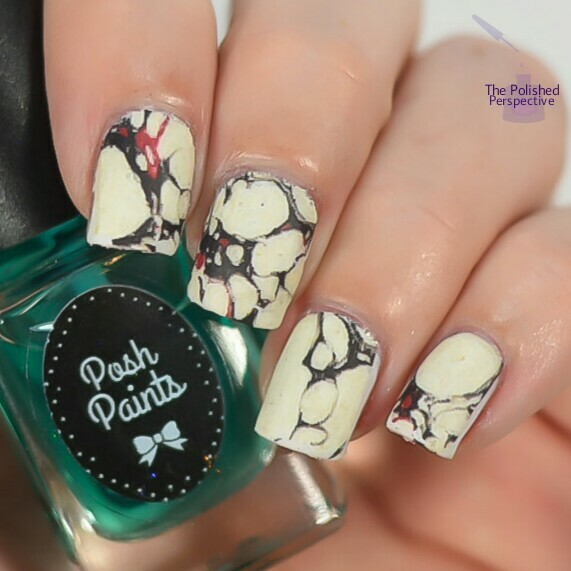 These water decals are way different than the other images I'm used to seeing. 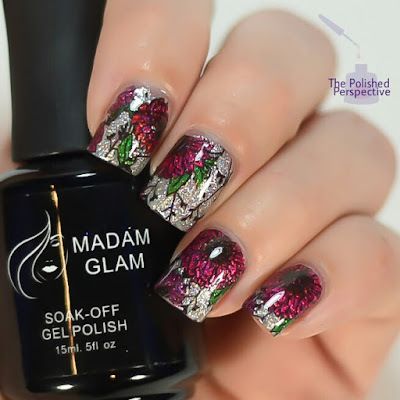 Water decals do nothing for me, but I could stare at these manicures all day long! Beautiful job with each of these. I dunno which I love most! These are super unique. I'm digging the marbled-looking ones. Too bad they didn't behave properly. I always wonder if that is the nature of the decal in general or if it happens with decals that have been sitting around for a length of time. You can never go wrong with decals! Your manis turned out great! I really loved the last look, it's a shame they were hard to use!